With its new curriculum including more science and technology, the RCA is sending a clear message to the communities of teachers of design and other practitioners: in the future, design students will not just be sketching and modelling – they will also be building robots, coding machines and learning algorithms. 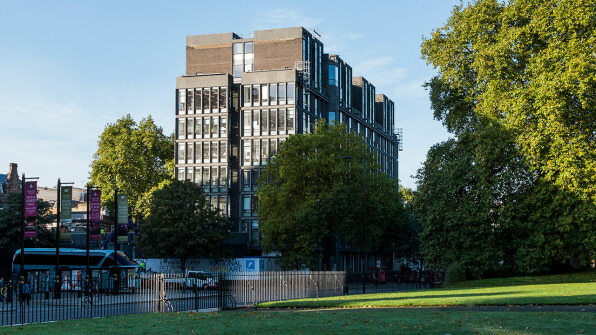 With the launch of a straightforward strategic communication plan (a dedicated video created by RCA alumnus Ridley Scott, which looks inside the studios of other famed alumni) combined with $71 million funding from the U.K. Government, the RCA campus will expand to incorporate a new building designed by the Swiss architecture firm Herzog & de Meuron. The RCA already has a strong design engineering programme, but this new investment highlights the fact that today’s designers must be trained to tackle large, interdisciplinary problems. The world is too complex and interconnected for designers to not be versed in a variety of disciplines – from traditional, craft-based skills to the science and technology that currently powers much of our daily lives. The RCA plans to add non-traditional programmes like Environmental Architecture- a year-long masters that focuses on the city from a sustainability perspective – and Digital Direction, another year-long programme that concentrates on digital storytelling in the creative economy. Such interdisciplinary programmes are not completely absent from the academic world. Prominent tech and science schools like MIT and Carnegie Mellon have embraced (and now excel at) design. But it is rarer to see a traditional art and design school like the RCA adopting science and technology as a core focus. Whatever the reason, the RCA is wise to make the investment: as technology infiltrates every element of life, the artists and designers who integrate it into their training will no doubt be more in demand than those who do not.